Cañada College has launched its second annual Jacket & Toy Drive! 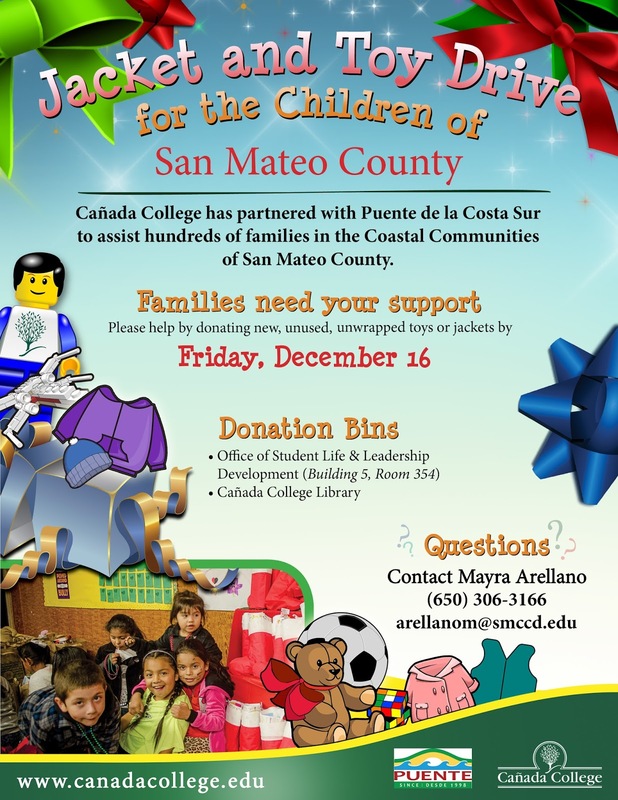 The donations for this year’s Drive will be given to our community partners at Puente de La Costa Sur in Pescadero, benefitting families in the coastal communities of San Mateo County. For questions, please contact Mayra Arellano at arellanom@smccd.eduor x3166. Thank you, in advance, for your support in this year’s Jacket & Toy Drive!